Grandparents are a significant influence getting grandkids into the sport. Once the kids have been introduced, almost 95% stay with it. 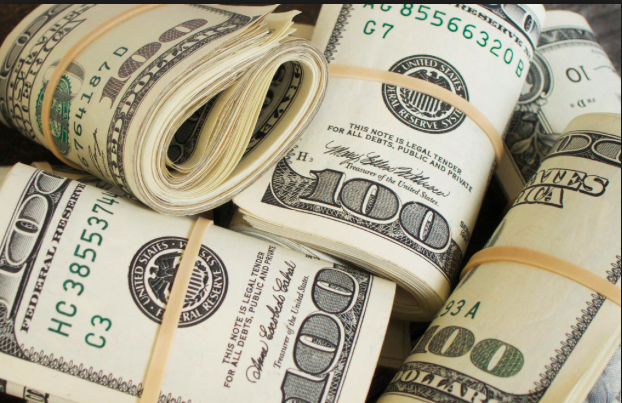 Another significant finding is that 56% of respondents reported they spent between $1000 and $5000 per person last season on skiing, boarding, and related activities. More than 10% spent $5000 or more, per person. The survey also produced robust responses to the open-ended question about how we’re doing and how we could improve. The congratulatory messages gave us a nice feeling. The critical ones focused primarily on technical issues. The majority expressed what you, our readers, want to see covered in SeniorsSkiing.com. Those suggestions fall into six categories, which, when you think about it, reflect the general interests of older snow sports enthusiasts. Readers want to know more about ski resorts outside of where they live, as well as in Canada and Europe. Many of you inquired about organized ski trips. In response, we’ll be increasing our coverage of ski clubs, and I’ll report on a variety of unusual ski programs from the Italian Alps. These are important reader interests. This season, we’re expanding our list of resorts where seniors ski free (or virtually free) to include Canada. So many of you want to meet up with your skiing contemporaries. The ski club system is a great way to accomplish that. Many clubs don’t require local membership to participate in their trips. For more information on ski clubs: http://skifederation.org. 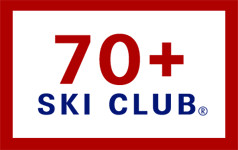 And the 70+ Ski Club has many regional and international offerings. When traveling in the US, look for a local chapter of the Over-The-Hill-Gang. They give free mountain tours for older skiers. 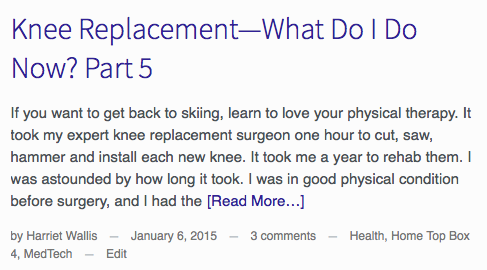 Readers facing joint replacement or recovering from other health issues want more guidance from those who already have been through the experience. How to prepare, how to recover, how to stay fit for the coming season. We have a good selection of those articles and welcome more. If interested, click “HEALTH” on the home page menu bar and start exploring. Readers want information about ski school programs with special senior offerings. We’ll report on them as we learn about them. Please let us know of your favorites. 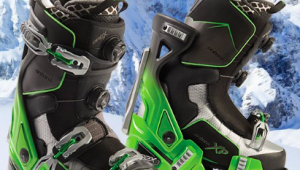 In terms of equipment, we work closely with realskiers.com to present the best ski selections for seniors and with America’s Best Bootfitters for the best boot choices. Your suggestions include more articles profiling interesting older skiers. More on snow predictions and snow science. More on X-C (cross-country veteran, Roger Lohr, was recently named X-C and Snowshoe Editor). More on backcountry, snow biking, and Ebikes. Adapting to our age. Identifying good retirement places for older skiers. Your input gives us direction and lifts us in moments of doubt. We’ll continue to do our best to inform you, to create a community of older skiers/boarders, and to heighten awareness of the importance of the older population to the sport. Sounds like some great ideas and plans for 2019! Thank you for the excellent reporting. seems like a lot of money getting our grandchildren skiing. Must be taking them on ski vacations. There are many ways to get them going less expensive. worth exploring how to get the kids going that does not cost big bucks. Are there any ski schools that have multi day group lesson taught by instructors trained to understand the goals and physical limitations of seniors and provide an opportunity to meet other senior skiers? Yes, lots. In the east, try Stowe or Bretton Woods. In the west, Dodge Ridge, among many others. Depends on where you live and whether you are willing to travel. Our advisory board member Seth Masia teaches a course just for seniors at Vail. I suggest you inquire locally first. Teaching seniors is a specialty (we think) and ski schools have several senior instructors who teach seniors. Nice, eh?